Weekend ticket £52, Friday evening £16; Saturday £12; Saturday evening £20; Sunday £12.  National Forest Folk Festival runs from Friday 3rd to Sunday 6th July and is held at Conkers - an attraction in the heart of the National Forest, in an outdoor amphitheatre, set beside the lake at Conkers Waterside and surrounded by new woodland. The line-up includes Seth Lakeman Band (headlining the Friday evening concert) with Hand on Heart Band, and The Monster Ceilidh Band. The Eliza Carthy Band(headlining the Saturday afternoon concert), with Trevor Organ's Crackin' Crockery Show, Pamela Wyn Shannon, 100 Man Orchestra, and Pete Morton. The Ukulele Orchestra of Great Britain (headlining the Saturday evening concert) with Pete White's Suitcase Circus, and Pete Morton. Kerfuffle (headlining the Sunday afternoon concert) with Pete Morton, Kelly's Heroes, Rachael McShane Band, and 100 Man Orchestra. The weekend will play host to four concerts and there will a teatime ceilidh on Saturday with The Monster Ceilidh Band after the Eliza Carthy Band concert. Festival ticket holders have free access to the Conkers Discovery Centre and there is a range of local accommodation including camping facilities to choose from. A full weekend ticket is priced at £52, an all-day Saturday ticket is £30, a family weekend ticket is priced at £52 for 1 adult and 1 child. Tickets for children from 4 to 14 years are half price, and children under 4 have free entry. To purchase these tickets options call Ashby de la Zouch Tourist Information Centre on 01530 411767. Online tickets are priced at £20 for each concert except the Sunday one with Kerfuffle which is priced at £12. To buy tickets click here. Festival camping is on site priced at £4 per unit per night.